Peter Tilly is a Senior Systems Engineer at Rockwell-Collins and was a member of the Players’ Committee from the mid-late 1980’s until 2014. 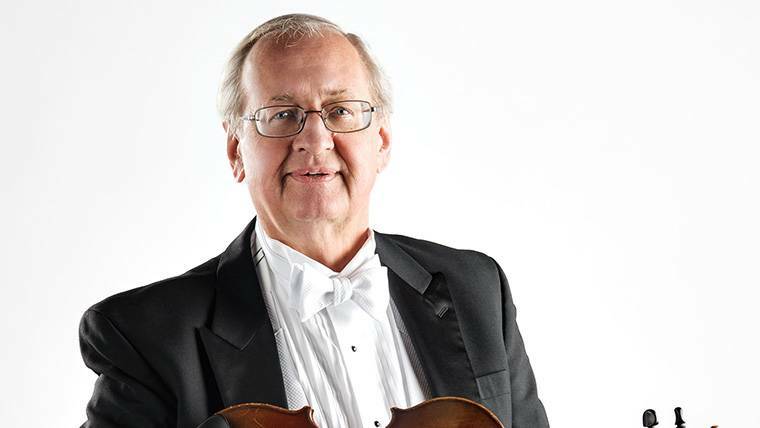 He is a continuing musician representative to the Orchestra Iowa Board. Probably something Beethoven, but hard to pick something specific. Kind of like a foodie that likes many flavors and the variety. When the Players’ Committee had the opportunity to talk with music director candidates, I asked each of the candidates “what’s the difference between a conductor and a music director”. Tim’s answer was the most telling with “A conductor comes in, does the rehearsals and concerts, takes his paycheck, and goes home. A music director loses a lot of sleep.” That sold me on Tim being the right choice, and he’s certainly lived up to the music director description. Both my parents were music educators, so each of my 3 siblings and I got our musical starts at home. Many of my Orchestra Iowa colleagues. Their knowledge, talent, and dedication are truly inspirational. Besides, they’re genuinely nice people. List three things always found in your refrigerator.